2. Apply hemorrhoid cream (look for brands that contain ingredients of yeast and shark's liver oil) to the puffy area. Insiders have known for years that in just the way it gets the swelling out of that other area, it works the same way for the face. 4. A black tea bag soaked in cold water on each eye for ten minutes will reduce swelling caused by fluid retention. Gently press from inner to outer corners to hasten drainage. Moistened caffeine tea bags will also work the same way by reducing puffiness because caffeine constricts blood vessels and reduces swelling. 6. Elevate your head when you sleep, to keep fluid from settling around your eyes and keep swelling down. 7. A few egg whites, stiffly beaten, and applied with a brush to the face and under the eyes will make the skin feel tighter and look less puffy. 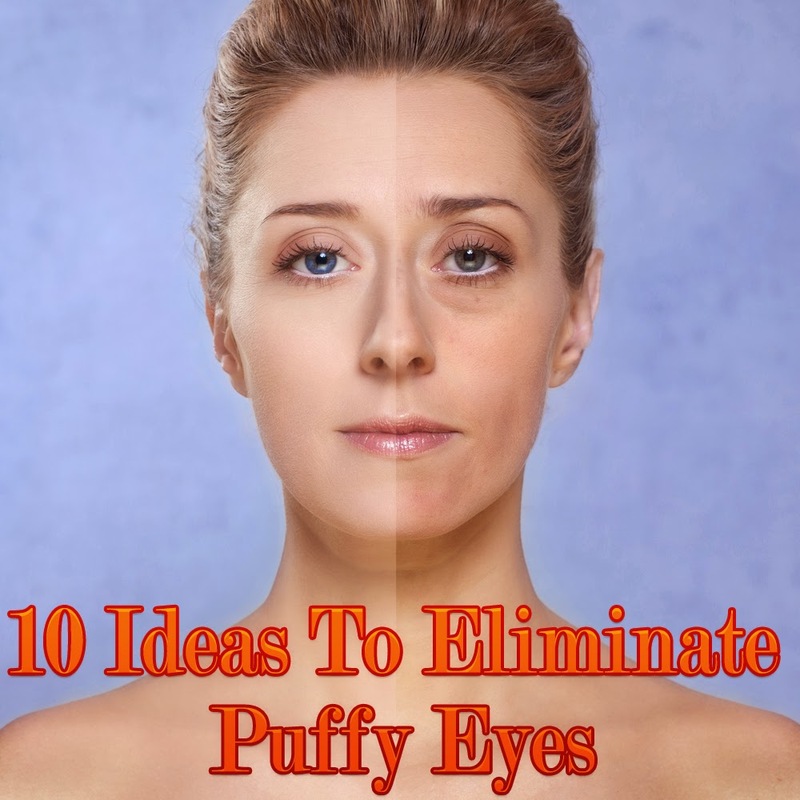 Add a drop or two of witch hazel which also reduces swelling and will keep the egg whites from drying to rapidly. 8. Making sure you are drinking enough water will also reduce eye puffiness. When a person is dehydrated the body starts storing water as a defense system and this will add to puffiness around the eyes. 9. Contact lenses should be removed before going to bed, to avoid puffiness caused by lens irritation and drying.